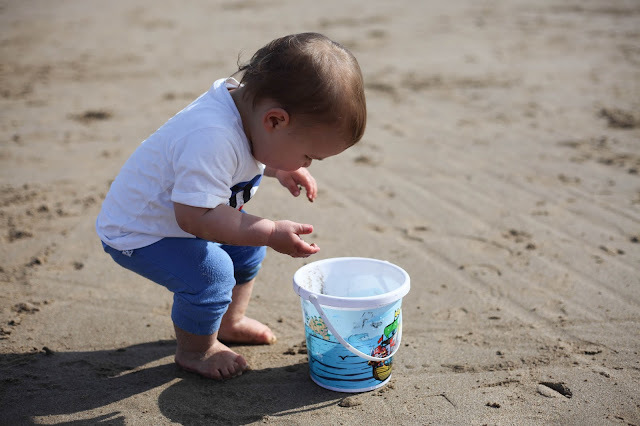 Last week we had our first proper beach day of the year and even though we have taken Baby G to the beach before this was the first time he has really taken it all in, dipping his toes in the ocean and making sand castles with his big brother. 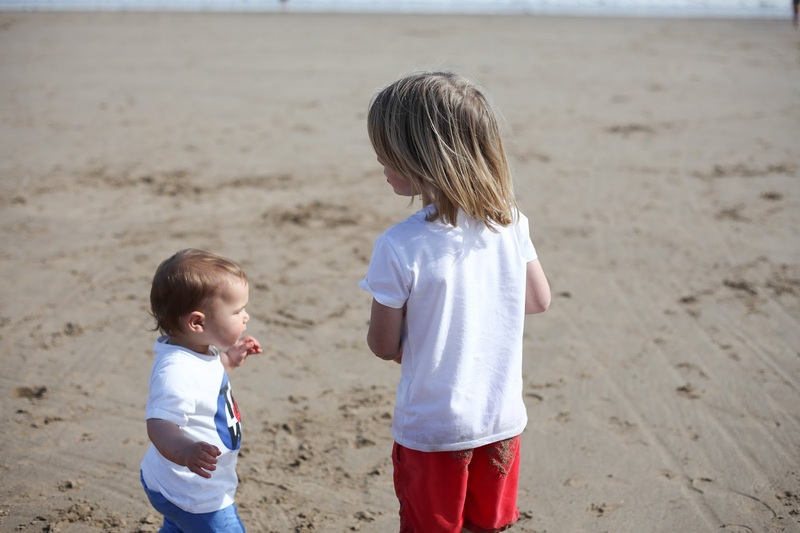 With Mr A being at home it means we are lucky enough to enjoy weekdays at the seaside and miss the weekend crowds. 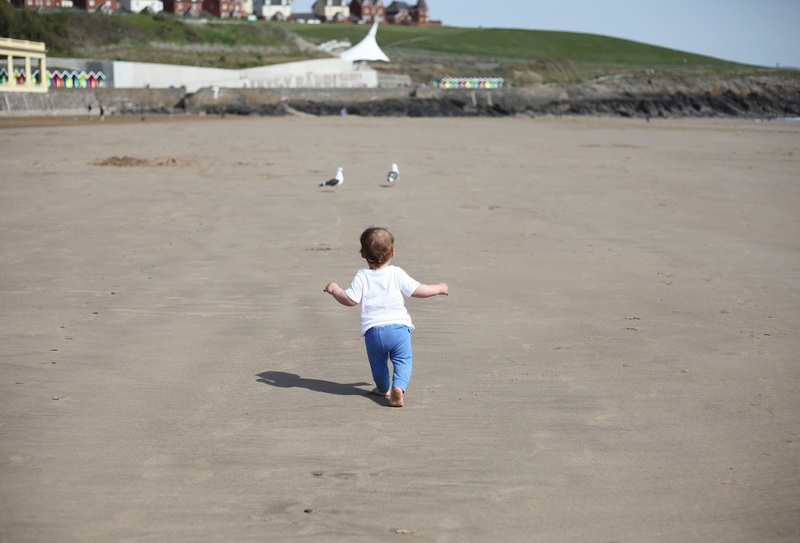 We decided to head to Barry Island, even though we are not huge fans of the pavilion with all it's fish and chip shops and out-dated arcade stores the actual beach is beautiful and with some recent regeneration happing in the area it's only going to get better. 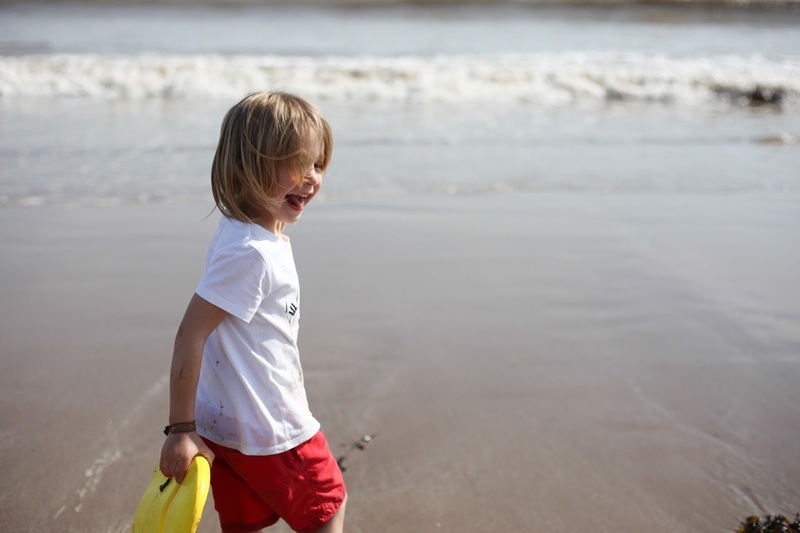 We have really been trying to slow things down and take in the little simple moments of late and the beach is the perfect spot for connecting with nature and using your imagination. Both of the kids spent hours on the beach with just a bucket, spade and a yellow foam board while enjoying the picnic I packed for them. We also did a little bit of beach combing, picked up some shells, made a little stream and searched for seaweed, driftwood and any beasties we could find, although I have to say Baby G's favourite thing was following the seagulls up and down the beach. I just hope that we see the return of the sunshine soon. The weather forecast for the next week doesn't look to good and Spring has been a little stop start and we are all so desperate for some good weather this year, fingers crossed for a hot, warm and sunny summer. 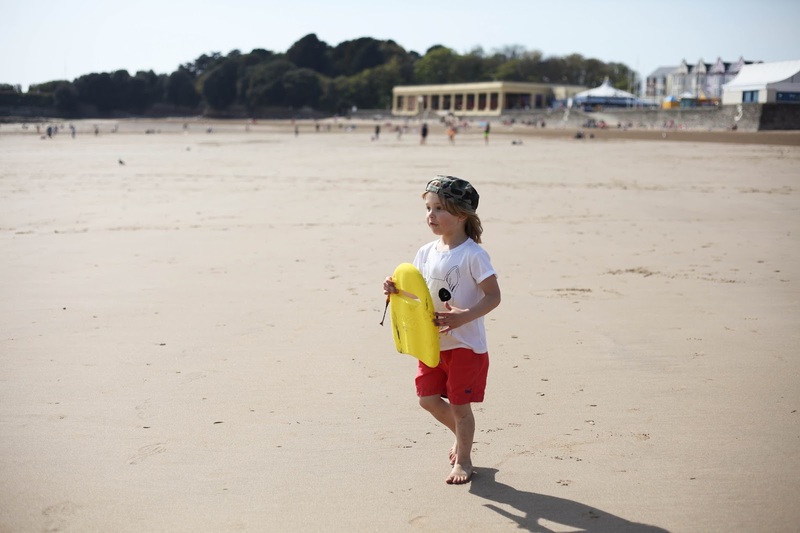 I do hope those good weather days return too, just not enough of them so far this year and we have hardly been to the beach as a result, well that and my older boys being into exams now. Looks like a lovely afternoon you spent appreciating life at a family pace. Treasure these times. Thank you for joining me for #CountryKids. Ahh we love Barry - we went last Aug bank holiday and the kids loved it. It is a lovely beach! Looks like you had such a lovely time.